Sorting technology specialist Cimbria has created a state-of-the-art solution for plastics recyclers. The new SEA CHROMEX Full-Colour RGB sorter deals with post-consumer and industrial scrap such as PVC window profiles, polyethylene, polypropene, Polystyrene and acrylonitrile butadiene styrene. Cimbria’s latest technology is said to represent ‘a real colour sorting revolution’. The sorting system is able to “see” like the human eye and recognise 16 million individual colours. ‘Once configured with additional near-infrared and InGaAs cameras, SEA CHROMEX allows the best detection of the infrared spectrum beside the visible one,’ according to Cimbria. 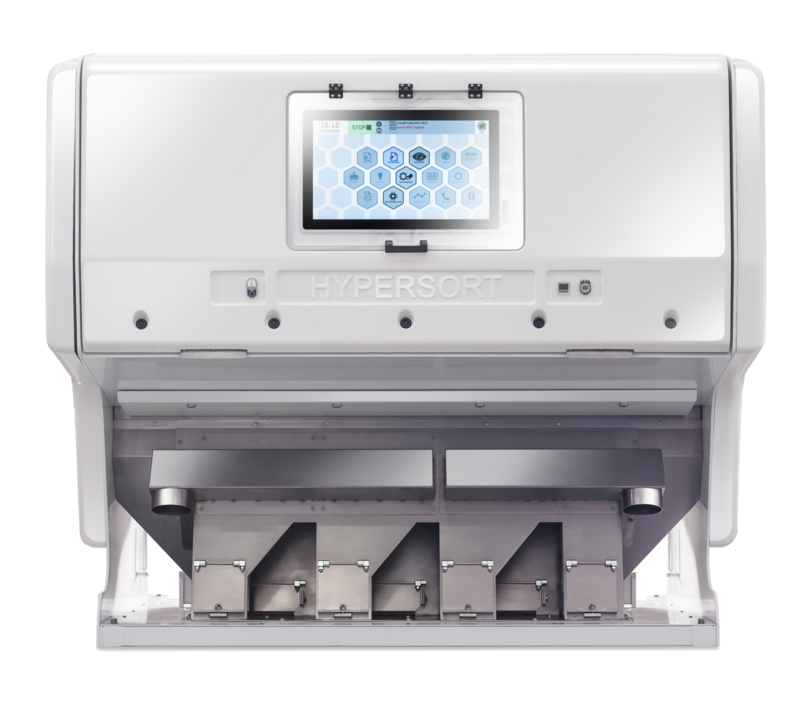 The SEA HYPERSORT was designed specifically for polymer sorting. ‘Any colour, shade or density difference is detected by the enhanced vision system to give the highest quality of sorted material as well as the best separation of mixed colour batches,’ the company explains. The sorting unit can also easily separate different polymers with the same colour. ‘The sorter is equipped with hyper spectral near-infrared sensors to identify the same-colour polymer contaminants, when there are no visible differences in the material being sorted. PET, PVC, PE, PP, PS, etc. can be separated according to their chemical nature, to match the purity standard required by the market,’ Cimbria says. The sensors recognise elements based on the specific spectral properties of reflected light. ‘The EXAGON user-friendly software allows the operator to achieve the best performance,’ the supplier adds.